What it is: a sunscreen with an SPF of 30-plus with UVA and UVB protection that's designed for kids and adults with sensitive eyes and skin. The active ingredients are octinoxate (7.5 percent), oxybenzone (4 percent) and zinc oxide (6 percent). The sunscreen is fragrance-free and retains its SPF protection after 40 minutes of activities in water. The good: I have dry, sensitive eyes, so I frequently use eyedrops. I thought this was a good sunscreen because it never made my eyes burn, but I didn't fully appreciate it until I slathered a friend's sunscreen on my face when I was without the Z Blok. My eyes began stinging and burning the minute I applied eyedrops because I had applied my friend's sunscreen the same way I apply Z Blok — on my eyelids and around my eyes. 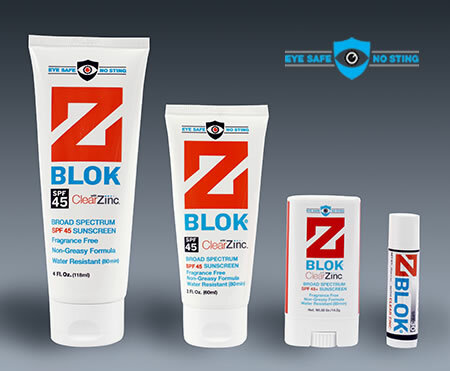 Z Blok protects my face and neck from UVA and UVB rays without limiting my use of eyedrops. Unlike some zinc oxide products that look like clown makeup, this sunscreen goes on white but easily blends into the skin. For women, it's also a good makeup primer. I tested the 2-ounce tube, because I can pack it in my carry-on. And for winter-paled skin bound for spring break, this is a good thing to pack. The bad: I wish the instructions on the back offered more detail on how often to reapply it. I occasionally have gotten a little sunburned while using it because I failed to reapply it after numerous hours in the sun. Available from: zbloksun.com, outdoorproshop.com and a variety of outdoor shops.